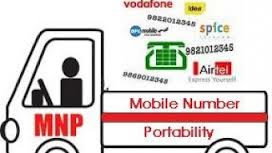 Mobile number portability (MNP) provide facility for mobile telephone users to retain their mobile telephone numbers when they are changing the mobile operator. This was implemented in India on 20 Jan 2011. The cost of MNP is Rs 19 rupees in India. 2. After this you will receive a a SMS from 1901 giving 8 digit alpha-numeric Unique Porting Code (UPC) and UPC expiry date in MM/DD/YYYY format. 3. Now visit the office of new mobile operator before the expiry date of UPC code and give them this UPC Code and your proofs as demanded by the operator. They will charge you 19 rupees and provide the new sim card. 4. After few days you will get sms from your new operator and your old sim card will stop working. Now insert new sim card and check, it shoild be started. Note:- For Mobile number portatbility the customer should have completed at least a period of 90 days (from the date of activation connection) with the current operator. Very Useful information to every one.. thanks manish. shyamal..